Creating a Classroom Community of Young Scientists helps teachers - both pre-service and in-service - to develop exciting science programs in their classrooms. 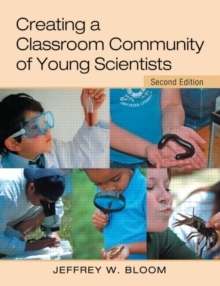 This book provides the groundwork for designing and implementing a science program that takes into account the latest research in teaching and learning. It provides an approach that will capture children's imaginations, stimulate their curiosity and create a strong foundation for their continued interest in, and appreciation of, science and the world in which they live. The book is designed to be user-friendly, and offers an approach to teaching science that is exciting for teachers as well. This thoroughly revised, second edition focuses on making inquiry more explicit both in terms of the process of inquiry and teaching in ways that capitalize on children's curiosity and questions. New material has also been added on U.S. and Canadian science standards, as well as professional standards for teachers.